I was looking forward to today. We were hitting the road and exploring some of (i.e. a very small part of) Louisiana. Where were we heading? Avery Island. 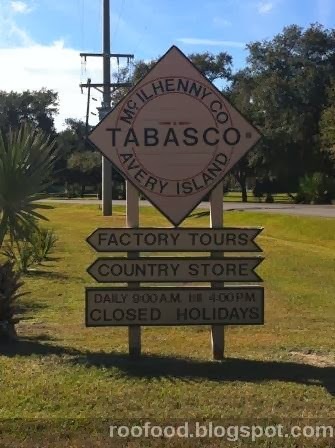 Home to the McIlhenny family and Tabasco sauce! Not only is Avery Island home to this family and the famous hot sauce, it is also home to a myriad of birds and plant life and the Island is a salt dome, offering rich fertile soil. 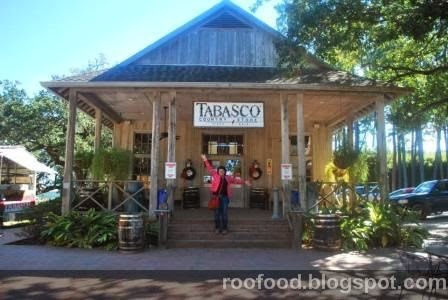 We have had to stop ourselves delving into the bag of cracklins' and save some for laters as we arrive at the Tabasco Country Store. That's okay because there are going to be plenty of sampling inside the store. 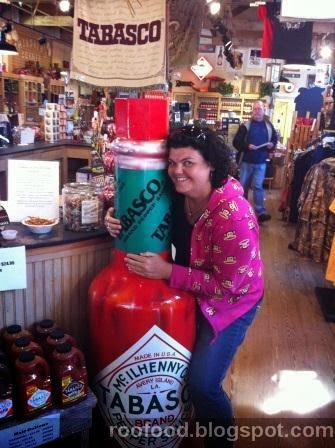 It's hot in here - actually it was unexpectedly freezing cold during my trip and I ended up purchasing a fabulous hoodie with the Tabasco logo....it just so happens it was the most commented on item of clothing the whole entire trip. I felt warm and loved. 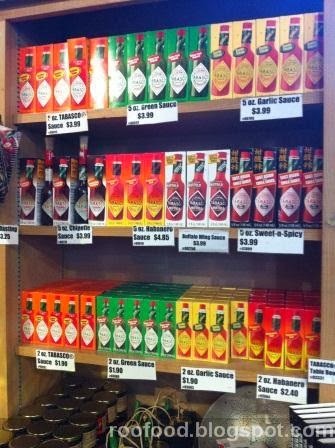 The store is jammed packed with Tabasco goodies. I was in awe at the amount of products that are available (not just your 3 choices you get here in Oz). There were shelves packed with hot sauces, pickles, BBQ sauces...then there was the cooking utensils and clothing range from hats, tshirts, hoodies and even boxer shorts. There were products for your pet, there was cutlery and crockery, jewellery and of course there was the taste testing station! We have rasberry chipotle ice cream (left) or jalapeno ice cream (right). Actually the ice cream didn't have alot of heat. 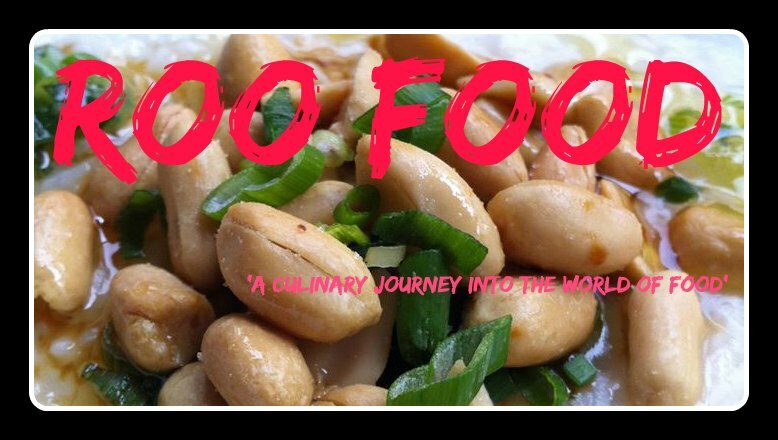 You could taste the flavours with a hint of chilli on the after taste. I thought these were refreshing and I would order this if it was on a menu (but then again I am a sucker for ice cream). 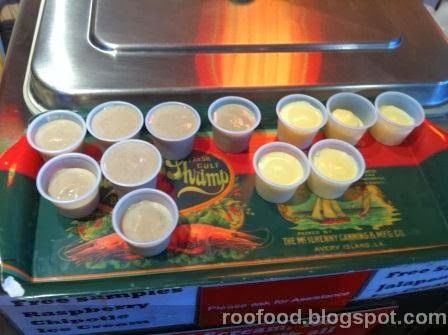 Along side the sauces were pickles and olives and marinades (including Ketchup, Soy and Worcestershire) . 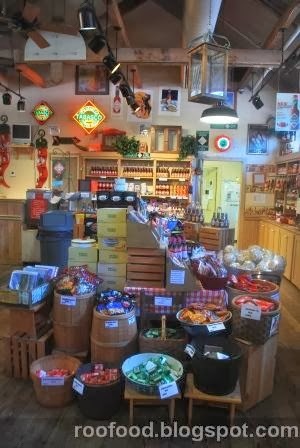 I was also in love with the Hot n' Sweet pickles and the BBQ sauce (which only came in 1 kilo jars (far to heavy for the start of my trip) (somewhere I have missed placed the photos). 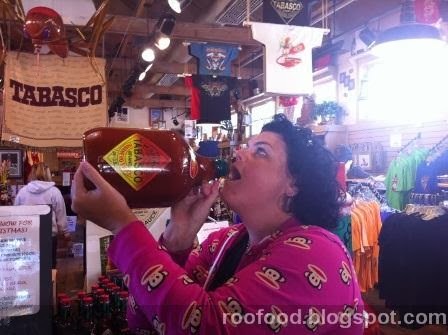 oh hold on there's more.. What about a gallon jug of habenero?...I'll just take a swig. If only I could get these baby's home. 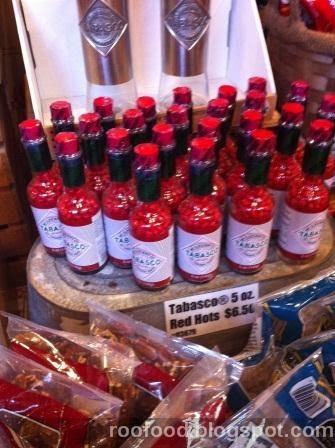 a growler of haberno Tabasco anyone? 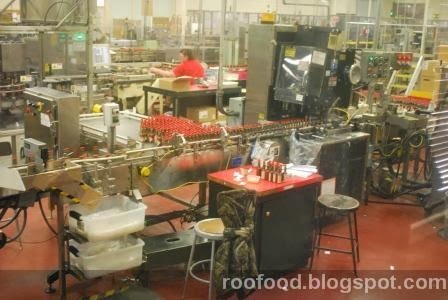 After taste testing (our first go) we headed down to the factory for a short video on the family and the island and then we learnt all about how this famous hot sauce is produced (and how it started) and then we get to walk through the factory and watch 1000's of bottles coming down the chutes and being labelled, boxed and ready for shipping. 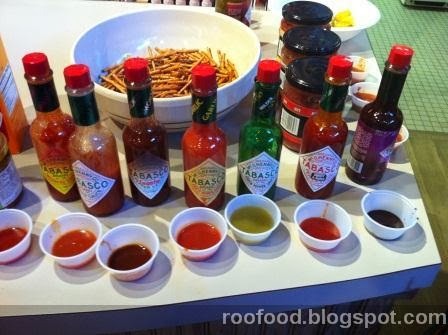 It's a great tour and very educational (particularly if you love the sauce). 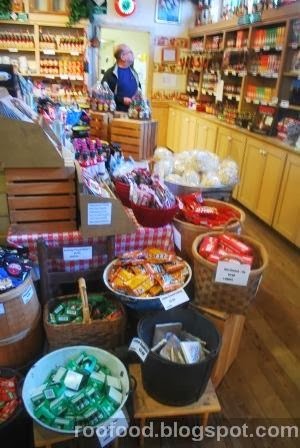 After the tour finishes we head back to the Country Store for round two of taste testing (for research and purchasing purposes) and then I stock up on far to much product. I have a hard time justifying the price verses the luggage space on so many things. So it turns out that I spent a small fortune here (see I couldn't restrain myself to much) and for my credit card carnage efforts, a free bottle of the Family Reserve Tabasco Sauce found it's way into my bag. 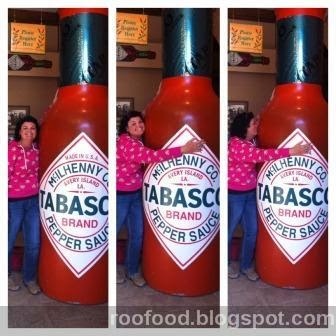 Thanks Tabasco! But it's this bottle that I finally fall in love with. MY ONE TRUE LOVE! 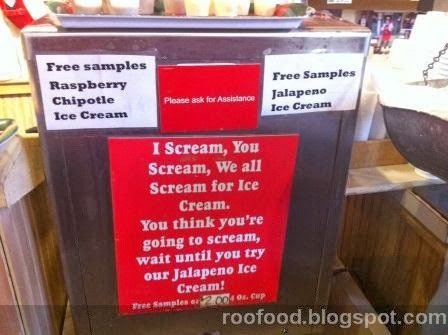 Jalapeno ice cream sounds amazing!